Baird, an employee-owned, international capital markets, private equity, wealth and asset management firm, will host its inaugural Clean Technology Investment Conference in San Francisco Nov. 30 to Dec. 1. The conference will feature presentations from more than 80 public and private companies across multiple sub sectors of Clean Technology including Renewables, Alternative Fuels, Energy Efficiency, Energy Storage, Industrial Technology and Water. Baird will host a Clean Technology outlook panel discussion in San Francisco and via Webcast on Dec. 3 starting at 8 a.m. PST. During the discussion, Baird’s experts will provide an overview of key information shared during the conference and their outlook for the sector. For more details and to reserve a spot, please call Amy Nutter at (414) 765-3988. As a preview to the conference, Baird spoke with senior policy analyst Christine Tezak about recent dynamics in the industry and the impact of historic election results on energy policy in the 112th Congress. What policy changes can investors expect in 2011 and what sectors should be impacted most? The overarching theme of the next Congress will be fiscal stewardship. We expect Congressional Republicans will scrutinize the incentives currently afforded to renewables and alternative energy, with a focus on streamlining and/or possibly reducing the size of the incentive programs. The most likely way to offset the cost of those programs is still through changes to the tax preferences for oil and gas companies. However, if such changes are limited to the “major” oil companies, it might help programs get extended – if they aren’t extended already in the lame duck session before year end. Do you anticipate energy sector gridlock? What form do you see compromise coming in? Energy sector gridlock is likely to be driven by the differences in philosophical ideology. Republicans often push for less regulation and more R&D spending. They like to lean on the private sector to commercialize with support through the tax code. Democrats tend to support commercialization with government support beyond tax incentives and more regulation to drive behavior and market outcomes. These differences in approach were clearly in evidence in the debate over cap and trade. Like many others in Washington, we believe that comprehensive energy legislation will be a nonstarter in the upcoming Congress. As to compromise, we’re not sure we buy into the idea of “bite-sized” energy legislation – as bills may be too narrow to gain the necessary votes in the Senate. Instead we’d agree with a senior energy committee staffer’s prediction that “boulders” may be more likely to move. Natural groups of issues, such as tax incentives and programs for biofuels, natural gas vehicle and electric vehicle deployment, could be examples of related policies that might successfully move together in one effort. What happens to renewables? Natural gas? Pollution control technologies? The outlook for renewables, natural gas and the pollution control industries will be driven by new regulations finalized or proposed by the Environmental Protection Agency (EPA) in the first half of 2011 for the electric utility sector. These rules are expected to drive significant retirement of old, coal-fired power plants making way for new natural gas and renewable generation. The coal-fired plants that don’t retire will very likely need to make significant pollution control investments. We think these rules, which the Republican House will likely criticize as too aggressive, may be the subject of hearings. However, we think these new regulations will go forward as the gridlocked legislature may not be able to do much to stop them or slow them down. How will new leadership change the agenda? With the Republican takeover in the House, key environmental and energy committees will have new chairmen. The current Energy and Commerce Committee Chairman, Henry Waxman (D-Calif.), is expected to be replaced by Rep. Fred Upton (R-Mich.). Rep. Upton has indicated he will conduct investigative hearings into the EPA’s greenhouse gas regulations and other initiatives, but it’s not clear there will be any ability of the Republican House to stop them. With so many issues on the new Republican agenda, we’re not sure how much heat the EPA will actually get. The E&C committee also has jurisdiction over the recently passed health care bill. We can see a scenario where healthcare efforts take precedence over the EPA regulations, delaying the promised environmental hearings. We’re not convinced the Republicans want to undo every clean tech initiative endorsed by the prior House majority and the White House. Programs where there is bipartisan agreement – such as several on the vehicle/fuel side, for example will likely see debate. Their success, however, will depend on the push for fiscal restraint in the budget debate. 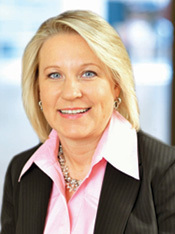 Christine Tezak is Baird’s senior analyst in Energy & Environment Policy Research. Prior to joining Baird in 2009, she was a senior vice president, Electricity, Natural Gas and Environmental Policy Research, at Stanford Group Company and a principal, Washington Research Group, at Schwab Capital Markets. Also, she was a research associate at HSBC Securities / Washington Analysis Corporation covering the water industry and at NatWest Securities / Washington Analysis Corporation covering the environment and agribusiness. Christine has a BA in Russian Language from Boston College and an MBA in Finance from George Washington University. In addition to Tezak, Baird’s Senior Clean Technology research team includes J. Michael Horowitz, Jr., Senior Clean Technology Research Analyst. Baird’s Research Department consists of approximately 110 research professionals covering more than 600 U.S. companies. Baird analysts have been recognized repeatedly in The Wall Street Journal’s annual “Best on the Street” survey and honored by StarMine as top analysts. Baird is an employee-owned, international wealth management, capital markets, private equity and asset management firm with offices in the United States, Europe and Asia. Established in 1919, Baird has more than 2,500 associates serving the needs of individual, corporate, institutional and municipal clients. Baird oversees and manages client assets of nearly $79 billion. Committed to being a great place to work, Baird ranked number 11 on FORTUNE’s “100 Best Companies to Work For” in 2010 – its seventh consecutive year on the list. Baird’s principal operating subsidiaries are Robert W. Baird & Co. in the United States and Robert W. Baird Group Ltd. in Europe. Baird also has an operating subsidiary in Asia supporting Baird’s private equity operations. For more information, please visit Baird’s Web site at www.rwbaird.com.